And now, for the Awards Party! A few of you have expressed interest so I thought it might be a good thing to give you some details so you can block off the date and hopefully be able to make it because its going to be fun. Oh boy! Will it be fun! 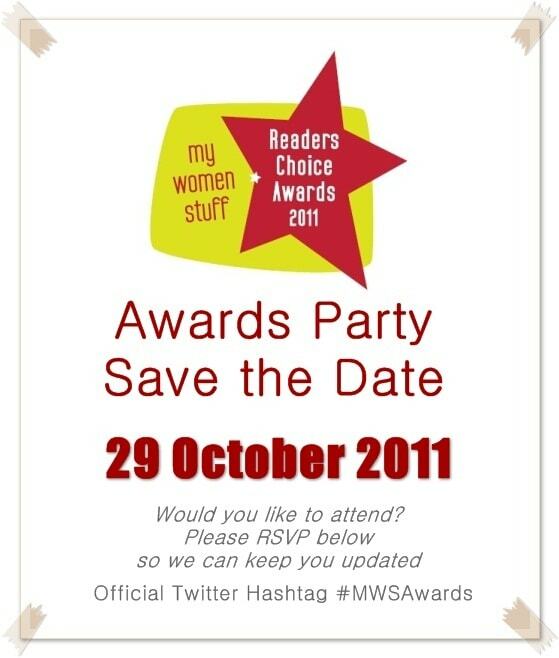 😀 So, the date is, as you see in the flyer above 29 October 2011 (Saturday). I have allocated space for readers who would like to attend, so please fill up the form below to indicate your interest and we can take it from there so I don’t clutter up the blog with inane announcements that interest no one else 🙂 I have space for about 25 of you so lets see the sort of numbers there are before further decisions are made. Also, there’s a quick Celebrate October! announcement so hop along now.